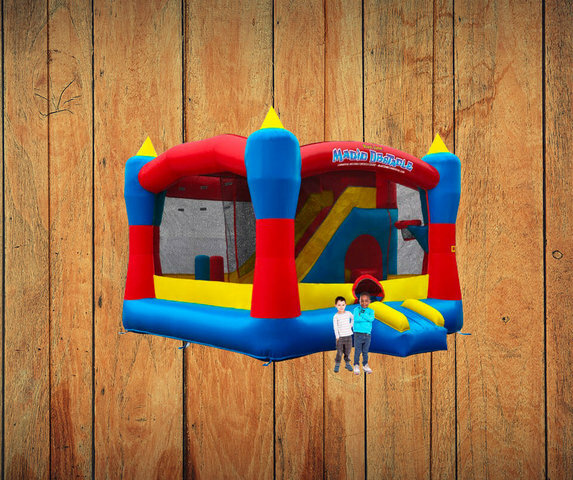 The Magic Castle Obstacle Course fun jump is our most popular compact obstacle - users love the wealth of interactive features inside the inflatable such as a bounce floor, slide, climbing wall, hoop, obstacle tunnel and pop-up obstacle lane. This interactive obstacle course is the perfect centerpiece for any celebration and is very popular for birthday parties and festivals. A retractable roof is included to help your guests avoid the sunny days, making this bouncer a guaranteed hit!